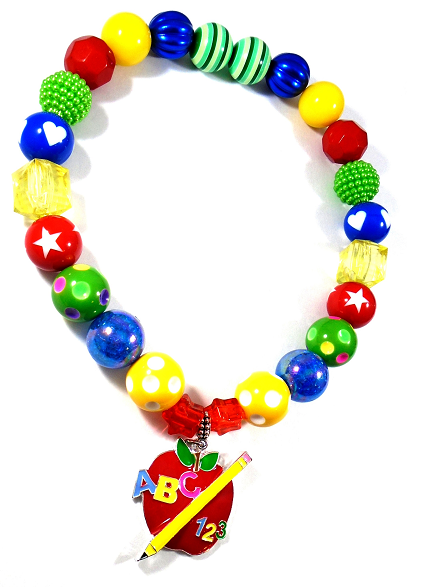 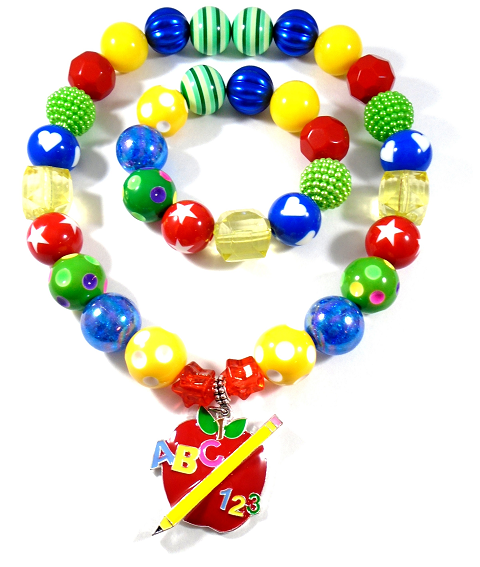 Back to School ABC ~ 123 Chunky Bubblegum Necklace & Bracelet Set with an adorable ABC ~ 123 Apple Pendant ! 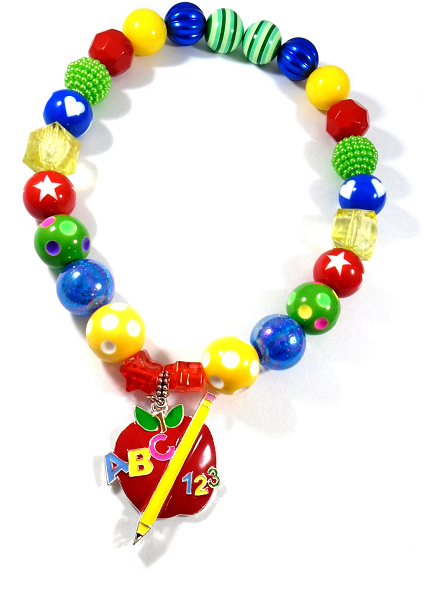 Your choice of Necklace & Bracelet size ~ Bracelets will have a little stretch so it's not tight on your sweethearts wrist! 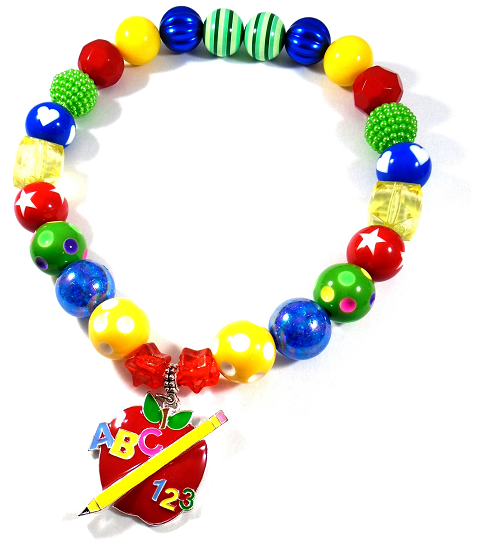 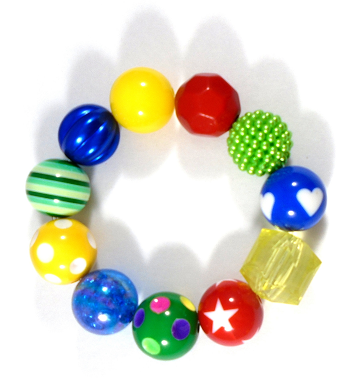 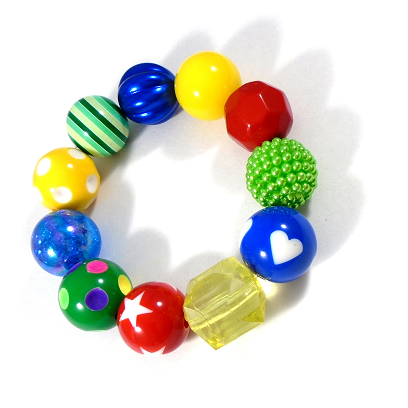 As with ANY jewelry, please never leave your child unattended while wearing jewelry pieces.